Every business is online these days. Being searchable online is an absolutely critical part of your business’ marketing and brand identity. With that in mind, you should think carefully before embarking on any project to create a new website or rebuild an existing one. After all, the goal is to enhance your company’s brand. There are many do-it-yourself website building platforms — the names Squarespace, Weebly and Wix may sound familiar — along with open source platforms, including the one that powers 25 percent of the world’s websites, WordPress. 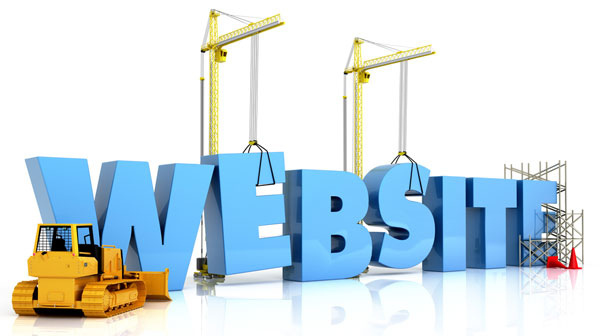 But before you choose a website builder, you should know the pros and cons and then decide which will best suit your needs — now and into the future. WordPress is a website building tool and content management system. Twenty-five percent of all websites used the WordPress platform as of 2015, making it the most popular website-builder on the internet. It offers thousands of themes and design layouts, both free and paid. A company can change and customize themes at any stage of the design process, which is necessary as a website evolves and develops. Some say if you can imagine a certain website enhancement, someone has already created a WordPress plug-in (sometimes called ‘apps’ in other programs) for it. Users have created nearly 50,000 WordPress plug-ins that are available for free download or for a fee. Users can add a lot of bells and whistles to WordPress websites to make them attractive and easy-to-use. An example of a simple plug-in is adding a map feature so potential customers can easily see where the business is located and how to get there. A more advanced plug-in would include not only a shopping cart for an e-commerce site, but one that is integrated with the company’s inventory management system. That way, each time a particular item is sold online, the website would automatically update the product inventory levels. The initial investment for a WordPress website can be higher than choosing an off-the-shelf website builder. But don’t let dollar signs dictate your decision. Choosing a less expensive option will most likely cost you more in the long run — in terms of website functionality, online search engine optimization, clients, patients and ultimately, cold hard cash. You will probably end up throwing up your hands and starting the process all over again, this time creating a website on the WordPress platform. Off-the-shelf products offer pre-made templates and drop-and-drag functionality. You may even have an employee familiar enough with one of these products that he or she offers to build a website for you. Wow, that sounds great, right? Well, sure, if you want to create a website featuring cute pictures of your cats and send the link to your family members. But for a serious business positioned for growth, the reality is that using an off-the-shelf website builder is akin to walking into a minefield. The website builder’s branded ads on the top and bottom of your website. A limited selection of customer payment options on an e-commerce site. Inability to switch a website theme without starting from scratch once you have made your initial selection. Existing web options— a patient portal for a medical practice, for example — may not be compatible with your new website builder, so you will need to send patients to a different, WordPress-based, website to access the portal. And no business wants to redirect its patients or customers away from its own website. The option to lease apps that will enhance your website functionality, payable monthly. The cost to use these apps can add up very quickly. However, the real danger of these sites is the tremendous lack of search engine optimization, or SEO, which is tech-speak for “how your clients discover your business online.” You not only want and need the best SEO possible from your website, the future of your company depends on it. As the owner of Joey’s Awesome Pizza, you probably want intuitive webpages on your site. So the menu page on a WordPress website would read www.joeysawesomepizza.com/menu. But using a so-called “easier product” would assign your page to read www.joeysawesomepizza.com/659112683. You would have no choice over the URL wording, it would simply auto-fill for you. As a result, a user who goes to Google and types “Joey’s Awesome Pizza menu” may only be directed to your website if it’s based in WordPress. The last thing any business wants is for customers to have difficulty locating information. Someone who can’t find your information easily may just decide to order from your competitor, Tony’s Awesome Pizza, instead. Then you’ve just lost a customer, and probably not the last. If your business converts from an existing website platform to an off–the-shelf platform, there could be even more serious ramifications. All of those intuitive words and phrases in your URLs will most likely be dead, meaning that customers who search on Google and find your indexed pages will now be directed to an error page that says “404 Error: Page Not Found.” Most of the more basic website building programs do not have the functionality to communicate with Google and other search engines to automatically redirect users to a functioning page. The greater the number of dead links a business has, the further down that business will appear in search engine rankings when a user searches online. Your website will more likely be classified as “suspicious” by Google and it will take a long time to regain your original ranking. Google SEO standards (algorithms) are considered the baseline and what developers try to exploit for maximum benefit. By using a platform like WordPress that already follows healthy SEO guidelines, it is possible to elevate your website’s performance even further. Because Google adjusts its algorithms often, the world of SEO is ever-changing. WordPress is an open-source platform, so developers are constantly working to create plug-ins that will work well with Google and these are often available within weeks of an algorithm update. The “simpler” but proprietary platforms must rely on their own developers to catch up to Google. In some cases, changes may take years to complete. Who suffers in the meantime? Your business. WordPress is not the most intuitive program for non-technical folks. But that’s ok. There are plenty of web developers who are adept at navigating and designing via WordPress. Businesses can hire developers per project and focus on the business at hand. The last thing any growing business needs is to get bogged down in the technical issues of coding a website. Leave that work to the experts and concentrate on what you do best: bringing your product to market. Samantha Joergens is a marketing account coordinator at CMA. She can be reached at sjoergens@cmasolutions.com. Looking to create a robust WordPress website to serve your needs now and into the future? CMA can help! Contact us at 800-852-4269 or email us at info@cmasolutions.com.